The Maha Mrityunjaya is a mantra that is said to rejuvenate, bestow health, wealth, a long life, peace, prosperity and contentment. The Mantra is a centuries old technique of connecting one to pure consciousness and bliss. The prayer is addressed to Lord Shiva. By chanting this Mantra, Divine vibrations are generated which ward off all the negative and evil forces and create a powerful protective shield. And it is said to protect the one who chants against accidents and misfortunes of every kind. It is a vibration that pulsates through every cell, every molecule of our body and tears away the veil of ignorance. It ignites a fire within us that consumes all our negativity and purifies our entire system. It is also said to have a powerful healing of diseases declared incurable even by the doctors. It is a Mantra to conquer death and connects us to our own inner divinity. Om. We worship The Three-Eyed Lord Shiva who is naturally fragrant, immensely merciful & and who is the Protector of the devotees. Worshiping him may we be liberated from death for the sake of immortality just as the ripe cucumber easily separates itself from the binding stalk i.e. By your Grace, Let me be in the state of salvation (Moksha) and be saved from the clutches of fearful death. The Maha Mrityunjaya Mantra is a protector from accidents, mishaps and daily calamities in the modern busy life. Om. I bow down to Lord Shiva, who is the creator and protector of the universe, who is the greatest among gods, who has three eyes, who is the annihilator of all the three worlds, one whose throat is blue, who is the conqueror of death, who is the Lord of all, who is propitious who is possessed of all marks of greatness and who is the greatest among Gods. To him my prostrations. O Almighty God. Thou art the supreme source of all worldly and divine pleasures. Thou art the impeller of our physical and spiritual advancement. O supreme Father ! We pay our humble obeisance to Thee. 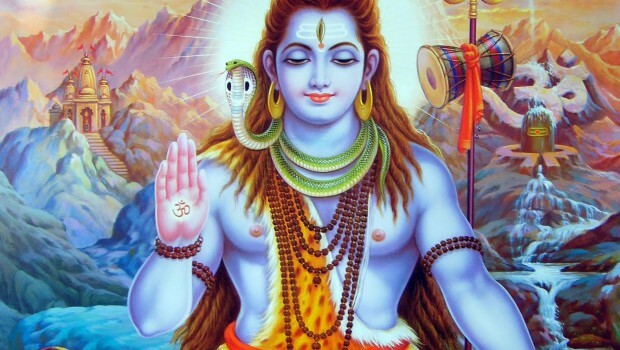 Shiva is the experiencer and the highest object of experience. Shiva is the goal of Sadhana. There is nothing apart from Shiva. There is nothing other than Shiva. Whatever there is, is Shiva. There is nothing, which is not Shiva. There is no place, which is not Shiva. There is no time, which is not Shiva. To be aware of this is to be aware of Shiva. Chanting the Maha Mrityunjaya Mantra with sincerity, faith and devotion in Bramha Muhurata is very beneficial. But one can also chant it anytime in a pure environment with great benefit and discover the happiness that’s already within.